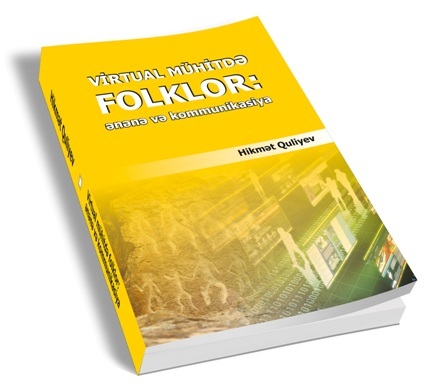 The book “Folklore in the virtual environment: tradition and communication” by the scientific secretary of ANAS Presidium Ph.D. Hikmat Guliyev has been published. The scientific editors are Academician-Secretary of ANAS, Director of ANAS Institute of Information Technology, academician Rasim Aliguliyev and Director of ANAS Institute of Folklore, academician Mukhtar Imanov. The monograph is devoted to the specifics of folklore creativity problems that exist on the Internet, changes in folklore in the context of the development of information and communication issues, and also highlights the new tradition that has emerged in the virtual environment and the analysis of relationships. The book studied the work on the basis of communication and folklore, folk models of digital communication tools, folklore in a virtual social environment, semantic analysis, the modern scientific approach. The publication will be a valuable source for folklorists, PhD students, Doctoral students, masters, as well as students and university professors, including for a wide readership.